The London Olympics 2012 will begin today 27th July with a grand opening ceremony that kicks off at 9:00 PM London Time (4 PM ET) and will be broadcast live on NBC at 7:30 PM ET. The whole show will be no more than three hours and is being directed by none other than the Oscar winning British film director Danny Boyle along with acclaimed director Stephen Daldry. The opening ceremony has been named the "Isle of Wonder" as inspired by William Shakespeare's "The Tempest." Watch London Olympics 2012 from July 27th - 12th August Live on You Tube (The Official Olympic Channel by the IOC). Watch Live: Opening Ceremony on 28 July 1:20 (IST). 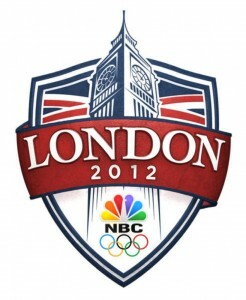 Live streaming of the London 2012 Olympic Games will begin in 64 territories on July 27th 2012. The grand ceremony will be flagged off with the sound of the world's largest harmonically tuned bell.You can watch every event of the London Games streamed LIVE on NBCOlympics.com. However, NBC is available only to citizens in the US. One can also watch the events of the London Olympics Live on BBC iPlayer if you are in the UK. BBC TV will provide the most comprehensive coverage of an Olympic games in broadcasting history, with up to 2,500 hours of live coverage. The grand opening ceremony of the London Olympics 2012 is expected to blow your mind and be much more spectacular than the opening ceremony of the Beijing Olympics.It is promising itself to be the biggest spectacle that has ever been seen so far. London will showcase 70 sheep, 12 horses, 10 chickens and nine geese....in contrast to the pounding drummers and a cauldron lighter of the Beijing Olympics. One will get to witness the British pop culture, music, literature, a dash of James Bond in the middle along with the Beatles Paul McCartney. Danny Boyle's Isles of Wonder will also showcase the green and pleasant land of meadows, farms, cottages, village cricket matches and bird song, as well as dwell on Britain's darker industrial past. The Queen of England has a role to play in the opening ceremony. Her entry will be a key part of the show, but the details are being kept under wraps, so you have to just wait and watch. All in all there will be 18,000 performers in the show and around 10,000 volunteers inside the Olympic stadium. With Danny Boyle at the helm of affairs, it is but a given that AR Rahman will also have a role to play. The Indian music maestro has composed a track for the inaugural ceremony and it celebrates the Indian influence in UK culture. It is a Punjabi track and will be part of a medley in the Olympics Opening ceremony. Among other stars, Muhammad Ali, David Beckham and Haile Gebrselassie will also be a part of the star parade. One will also get to witness some of the literary stars come to life, like Harry Potter, Alice, Captain Hook, Oliver twist and James Bond and last but not the least, a 40-foot Voldemort....who scares them all away! 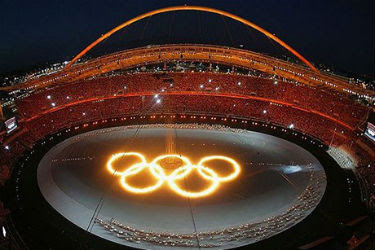 This year marks the 30th edition of the Olympic Games, with a total of 204 countries participating in the games. This year also boasts of the highest number (4,847) of women athletes that have ever taken part in any Olympics so far, and nearly every country has women participating in its teams. There are 81 athletes from the Indian Contingent that include 23 women. There are a total of 10,000 participating athletes in all. The cost of the games is 9.3bn pounds - most expensive so far. The smallest delegation will be from Nauru with only 1 athlete, who is a weightlifter.